Not at all foolish. I was in tears the day I found out the one room schoolhouse where my Dad got his education had burned to the ground. 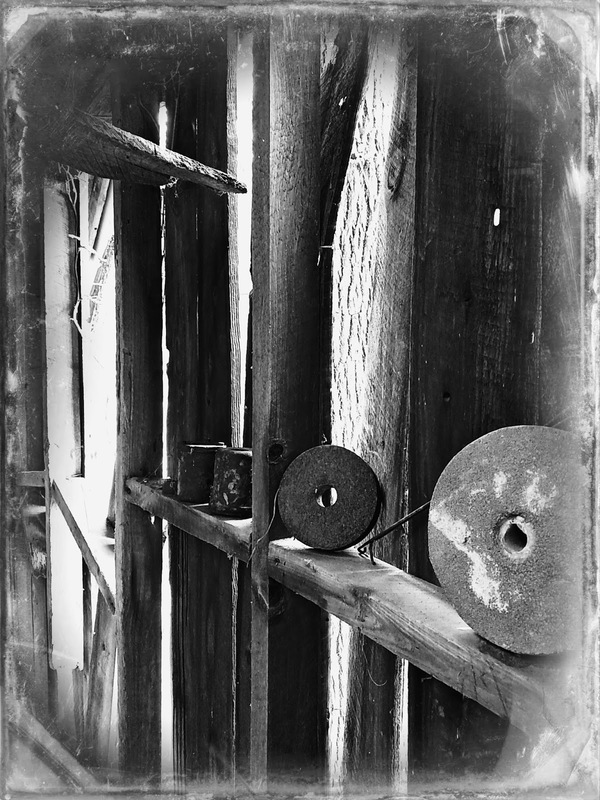 Buildings have meaning and memories for us, even if they are old schoolhouses or worn out sheds. A valuable asset to many. We are recycling wood within one barn to make it more usable for us. Some of those huge timbers weigh a ton to try and move.Have all the sheep in there now to use for their birthing area. Hum, an signs of copper tubing or big vats? My grandfather's shed in Sylvatus held a still. awww. i understand the draw. a corner with your photos of these buildings would nice...this is a sweet photo! I totally understand. I get sentimental about things like that too. My dad's old farm was an old shed wonderland. I still feel sad that i wasn't able to salvage more barn boards. Old barn and shed repair is probably my largest single maintenance time consumer around here. I did have to tear down the old chicken coop years ago but the have managed to save most. The barn takes the most time and energy though. I love old things. I hate when old structures have to be torn down to. There's been a lot of talk in the Omaha area about our downtown buildings demolished for more parking garages. People are fed up. It's not like your sheds, where they NEED to come down. The buildings do need work. I'm sentimental too. Too bad the one near the garden can't be salvaged--you could put garden tools there. But some things are beyond repair. Can Paul use the wood for something else? That's one way to "hold on" to the past. Yes, I understand, but so much better to be safe and take them down! The old wood has wonderful texture. Preserve it with your photos and then let it go. Oh I WISH we had an old shed on our property. I love their character. but I also appreciate the risk involved with them. I'm not familiar all that much with root cellars.But I assume that Paul probably did his assessment on replacing beams to restore strength to the floor and ceiling and the structures were just too far gone. I'd take photos and measurements before you guys level it, just in case you need a "Plan B" for a new shed. Otherwise, not foolish at all. I would like to see the photos! I'd miss the old sheds too. New stuff is nice to have, but they don't have the character the old places have. Its sad to see things get old,,,and broken,,,and the life all gone .. I remember a blogger who used to go around and take pictures of old barns. She hated to see the old buildings go too. It's sounds like your property has so much character...between the abandoned bus and the sheds. Good luck with your decision about the old shed; it's always hard to lose a part of history. What do your boys have to say about it? Old buildings do have a sense of charm about them.